How was “How Dogs Love Us”? Happy New Year to come from Robin! 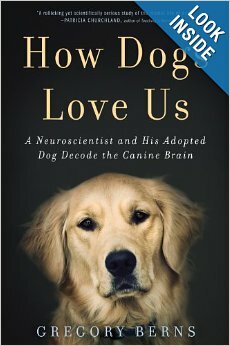 I’ve (mostly) read the book Cheshire gave me for Christmas, How Dogs Love Us: A Neuroscientist and His Adopted Dog Decode the Canine Brain. I say “mostly” because I skipped over quite a few chapters in the middle. The prologue introduces readers to the Dog Project, a research effort conducted mostly by volunteers out of the neuroscience lab Dr. Berns runs at Emory University. In the prologue a Berns family dog, Callie, makes her first attempt at entering a fully functioning MRI machine, leaving us wondering how it will be possible for Callie and other dogs to get over the hurdles to getting to the machine and accepting the close quarters and loud sounds that are part of brain imaging. The first five or six chapters were great for getting to know Dr. Berns and his family, including pugs, a golden retriever, and Callie a shelter dog who they decided is a feist, a hunting dog from the southern United States (Callie is NOT the dog pictured on the cover of the book.). Dr. Berns love of Nelson, the pug, left him always wondering what Nelson was thinking. After Nelson passed on, Berns already had a reputation as a neuroscientist (he studies decision-making in humans), and he decided to try functional MRI, which employs a series of images while the brain is engaged in some task, to begin to answer his question. The team in his lab are mostly dog people, so they were interested enough in the question to agree to work on it. Berns also recruited a local trainer to help teach dogs to walk into the imaging machine. They found a volunteer among the human-dog teams doing agility to learn the process as well. Round about chapter five the account of the project got deep into the details of academic research projects. I am familiar with this process, but it was interesting to learn that a consent form that treated the dogs like subjects, rather than objects human can act upon almost at will, could cause quite a bit of consternation with the ethics and legal people at his university. Although I’m sure there’s a good deal of interest in the process of training that comes between this point of the story and finding out what the researchers learned, I really wanted to know about how dogs think, not how researchers get through the bureaucratic maze of permissions, so I skipped six or eight chapters (I’ll probably go back to them later). First, the images of Callie’s brain activity suggest that dogs mentalize, something that humans do all the time. Essentially, mentalizing is a process of trying to understand the behavior of others in light of their mental state. In other words, creating a theory of mind about some other. Thinking about the other, rather than responding through instincts, in other words. 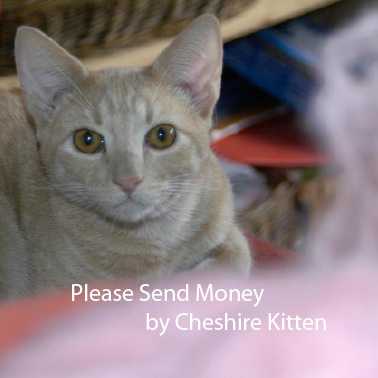 Another experiment with fMRI showed that Callie and her peer in the pilot studies remembered their humans and connected them with feelings. Berns builds a theory of how dogs and cats threw in their lot with humans thousands of years ago and why the relationship worked. I recommend that you read the last few chapters of the book yourself to discover the intricacies of the theory as I will not do them justice. I also suggest that researchers who are interested in similar questions follow protocols like those Berns established for the Dog Project. The ethical model is based on protocols for children and other vulnerable humans and gives the dogs just as much opportunity opt out of participation as humans would have. Berns rejected buying dogs bred for research and opted for inviting pet dogs and their humans to join in the fun of trying to answer the big questions of the human-animal relationship. The human handlers taught the dogs to participate using only positive reinforcement. The trainer carefully screened potential dog participants for indication that loud noises, close spaces, and other elements of the research process wouldn’t be too disturbing to them. Dogs who walked voluntarily into the scanner and stayed there got scanned. I might have been happier with reading articles in a scholarly journal except for the final chapter when Berns discusses the implications of these findings for the legal status of non-human animals, and other topics that he doesn’t (yet) have enough evidence to get statistically significant results that are required in publications. Read the beginning of the book to get to know Berns and his dogs. 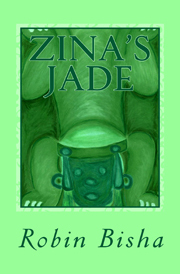 Read the last few chapters to find out what he can say about how dogs think about humans. Chapter 23 goes deep into the loss that humans and dogs feel when one of the family passes on when Callie’s fur sib Lyra loses her battle with a serious illness. I cried for Lyra and the whole family, which is the essential reason that this book will appeal more to most readers than Berns’ scholarly writing will. We want to feel the basic humanity and caninity (or felinity!) in the story.